John Jairo Velásquez Vásquez, aka ‘Popeye’, is something of a local hero to many in the Colombian city of Medellin. He’s stopped in the streets and asked for autographs and selfies. His celebrity is undiminished after spending 23 years in jail. 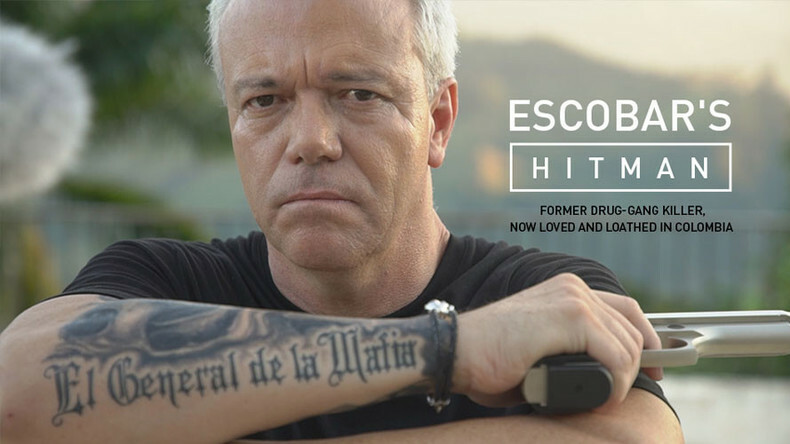 In the heyday of the infamous Medellin drug cartel, he worked for Pablo Escobar as a hitman, and still says he enjoyed the job in which he tortured and murdered literally hundreds. Unsurprisingly, not everyone sees him as a hero. Watch "Escobar’s Hitman" on RTD website on RT’s live feed. The time of the broadcast is available on RT’s schedule page.